Everyone wants to be respected, appreciated, purposeful, significant, understood and intentioned. Trust is what holds all relationships together, including the relationship between the leader and the led. And trust is based on integrity. The character of a leader can inspire. Leaders need the humility to know they don't have all the answers; they are learning together with those they lead. Leadership is a skill. What we repeatedly do becomes easier. It requires focus, conscious effort and practice—just like effective communication, public speaking, developing self confidence, playing an organ or conducting an orchestra. Peter McCoppin, internationally renowned orchestral conductor, has distilled the "essence of true leadership" from his experiences as a conductor, professor of conducting, music director of symphony orchestras, and extensive research and self-study. He is frequently asked to give motivational addresses and has developed and delivers leadership training programs. Vern Burkhardt (VB): You have conducted symphony orchestras world wide and were a professor of conducting at the Cleveland Institute. Are many of the skills required of a conductor the same as of a leader in the business world? Peter McCoppin: Absolutely. The fundamentals of leadership are pervasive. Obviously the leader must be consistent in his or her behaviour. And it should be value based behaviour. In other words forged in values that are respected by those who choose to follow. And it is a choice. No one is compelled to follow in a democratic society. The leader must in every case—I can't think of any exception—provide a clear, convincing and compelling vision of where the group is going. It is that vision which forges collaboration, unifies intention, and excites creativity in people. Without that direction being subtly but insistently provided, anarchy, entropy and chaos result. The leader communicates effectively and clearly in such a way that he or she is not trying to compel people to buy in but delivers the vision in such a way that people embrace it because they believe in it. When they believe in it they commit powerfully and passionately to its fulfillment. So communication skill is essential. And the leader will be a person who nurtures collaboration. In other words let's go. We’ll get there. It's all about we. The evidence of leadership shows up in the people who are influenced by the leader. It isn't about self-aggrandizement but rather the realization and engagement of those who are influenced—it’s all about the team and very little about the leader. VB: But the leader has a vision of where the team is going. Peter McCoppin: Always. And very clearly. And the leader’s vision is not imparted in a dictatorial fashion; rather it is communicated in a subtle and wonderful combination of professional will and personal humility. Leaders aren't coming from a fear-based, unilateral bias of my way or the highway. Rather they say this is where we need to go. He or she uses dialogue to achieve cooperation. People support what they create. A true leader understands that people can co-own their destiny. VB: You will be aware of the term flow state? VB: Do you often experience flow state when you are conducting or leading a group? Peter McCoppin: I have occasionally experienced that when I have been conducting. I'm reminded about a person who was commenting about sports. He said when you are doing it well you become invisible. When there is an absence of ego, self-preoccupation, narcissism, or anything that has to do with megalomania or self-aggrandizement; when we are fully involved in a selfless purpose I believe a flow state may be engendered. And when it's there it's wondrous because there's no evidence or sense of pretense or conceit. We’re with the activity and fully in its service. So we are just agents in service. VB: And as a result you have a sense of being one with the people you are leading. Peter McCoppin: Totally. And the essence of that is presence. Eckhart Tolle in The Power of Now: A Guide to Spiritual Enlightenment talks about the power of now; everything is about now. I think about T. S. Elliot saying "time past and time future meet in time present". All time is eternally now. If we are truly in the now, in the moment, not bound by the past which we can't change or the future that has not yet occurred we exist in a state that is rich with creative potential. Buddhism says that if we can live in this moment we will be free. When we talk about free, about flow state, it is the same. In the "nowness" we are fully present and presence is essential for effective leadership. VB: In reference to the financially troubled period of the Charlotte Symphony you were quoted as saying "be transparent and open. Acknowledge the things we can and cannot change... Stick to the truth." Would you talk about that? Peter McCoppin: I believe that should be fundamental in all aspects of our lives. I think in all things the truth will set us free. Transparency is critical in every relationship, intimate or professional. To present ourselves in our triumphs and in our struggles is to open ourselves in trust. And if our intention is in any way to be worthy to inspire other people's behaviour then a fundamental prerequisite is that we present ourselves truthfully. VB: Do you agree with Robert Greenleaf's comment in Servant Leadership that the essence of leadership is the desire to serve others and to serve a higher purpose? Peter McCoppin: That is the essence of leadership. It can only have value if it serves a higher purpose. I love Greenleaf’s book—it is inspiring and compelling. If leadership doesn’t serve a higher purpose, frankly I think it’s not worth it. It must go beyond itself and it must be for the greater good. The leader doesn’t lead with great bravado or grandiosity. Rather, leadership is consistently but subtly delivered, and the result is seen through the leader's team which delivers results in a collaborative effort—a unified intention. The selflessness of the leader is absolutely paramount. It’s really is all about service. VB: What role does trust play in leadership—the leader trusting the people who are being led and those being led trusting the leader? Peter McCoppin: In any relationship trust is quintessential. If the leader is leading by example, she or he presents themselves with humility and transparency, holding themselves to the highest possible standard, to the realization of respect, integrity, encouragement, honesty—all of these paramount values. It's only through value-based behavior that trust is earned. And it must be earned daily. The leader also must have the humility to give power away so the people can co-create their solutions. It’s in giving away, and with trust that people show up big and the best of them comes forth. VB: Giving power away. Would you talk more about that? Peter McCoppin: A leader who is coming from a place of love would recognize that each and every person has a quest for significance and meaning. It is the selfless promotion of the growth of the other. Ultimately people will only support what they create. What people seek is an opportunity to have authorship in their own work. A leader provides a vision of where we’re going, is very clear, intentioned and exact. And then the leader creates an environment that nurtures and supports people not only in terms of encouragement but also gives them the tools, skills, education, and learning opportunities so they can bring the best of themselves to the fulfillment of the vision. The leader supports those being led. In other words, the leader gives power away, never imposes or intrudes with micro management. The leader has a positive belief in the people being led. If the direction is clear and all the tools are provided the people will show up and do an amazing job. There’s an expression in quantum physics "What we seek is evidenced in what we find." If we expect it, and we call forth and nurture the best in people, we will get it. VB: In your leadership seminars you probe the topic of developing self awareness. Would you talk about the quotation that is attributed to you: "The way we react to others tells us more about us than it does about them?" Peter McCoppin: Leaders must be particularly mindful. Plato said that an unexamined life is not worth living. To know others is to be learning to know yourself and to be wise. So the leader, if she or he is to earn the right to influence others, must first of all be self-aware. My sense is our emotional intelligence is the key to our self-awareness and the way we react. When we have a gut reaction to something it is not borne out of intellectual intent but is an organic reaction to someone’s behaviour or appearance. If we feel discomfort that discomfort is informing. We pay attention and we say "what in me is resonating to what I perceive in that other person". And we use that as tool to an awakening. VB: Developing self-awareness through relationships? Peter McCoppin: Often in relationships, but the first step is to develop awareness of oneself. The way we view and act toward ourselves is reflected in our behaviour toward others. All of this is very telling. It is incumbent upon us to be mindful—to pay attention to our reactions to others and to the way people respond to us. VB: So self-awareness is very important for a leader? Peter McCoppin: Critical. Shakespeare said "This above all: to thine own self be true". Align yourself with your own values and be true in your self-examination. Leaders can choose to change a pattern of their behavior—to do so wilfully and deliberately by going back to their values. That enables them to be grounded and authentic. VB: The concept of Presence. Would you talk about being centred? Peter McCoppin: Centred and presence, I think these are synonymous. I am reminded of The Power of Now by Eckhart Tolle. Being present or centered is being deliberately aware, vigilant, and responsive in the moment. Not dragging from the past, being distracted about the future or anything else that is currently happening—rather being in the moment. Being fully here and attentive when interacting with another person, or being fully aware of your own thoughts and feelings when alone. A person who is in a position of leadership cannot be scattered. So it is critical to hone the mental habit of staying in the moment—it's a discipline that requires effort. Stay here, now, when interacting with your team members. VB: If a leader is busy with activities and is not centered while interacting with team members then he or she is not truly leading? Peter McCoppin: No. It dishonors the leader, the other person and their relationship. VB: What do you think we can learn from Eastern philosophies and religions? Peter McCoppin: A great deal. I think of Taoism because implicit in that philosophy is awareness, selflessness, and service. It speaks to the greater good and to pushing aside ego. When I am speaking about ego I mean an alienating, individualist approach. Ego is such a pitfall for us. For example, one concept from the philosophy of Buddhism is "what we resist, persists"—what a profound statement. If you want to have something you have to be prepared to let go it. The modesty inherent in that thought is huge. It speaks to active acceptance. To greater service. And it puts us far from anything that would make an individual self-important and cut off from all others. VB: Would you talk about the roles of fear and of love. Peter McCoppin: I am not a psychologist or psychiatrist, but my sense is that a lot of behavior is fear based. Which leads to defending and offending in justification of our position. And in doing so we isolate ourselves and push others away, thereby depriving ourselves of a true experience of learning and community. Marianne Williamson, the author of A Return to Love, said "we enter the world with love; we learn or are taught fear. Our quest or privilege or challenge is to return to love". I think that is a big challenge for many of us because we carry patterns of behavior learned as very young children. Parents or other caregivers may have modeled or taught us behaviors that make us feel very unsure. But as we grow older, have more awareness and are self-governing, with intention we can return to love. That sounds like a rather soft place but love is really a place of tremendous authority and power. To wilfully, generously, and compassionately deliver love is to selflessly promote the growth of other people. To honor and respect other people in their personhood, in terms of leadership and living, is of the highest order. VB: What attributes would you expect to see in leaders of exceptional organizations? Peter McCoppin: I would say authenticity, integrity, courage, selflessness, encouragement and humility. Authenticity is being transparently true to self, to one’s own values and consistently holding oneself intentionally and specifically accountable to behaviors aligned with those values. When Shakespeare said "to thine own self be true" he wasn’t speaking about narcissistic pre-occupation, but about being worthy. Authenticity is not about being reactive to, or defined by, the people around us. Rather it is asking oneself with intention who am I, what do I want, why do I want it, what are my values, what’s my vision, what will I live and die for, and then delivering on the answers to these questions. Integrity is when values are integrated into behaviors and consistently evidenced in actions. People of integrity say what they mean and mean what they say. They are not in any way hidden. Courage is hugely important because it takes courage to deliver out of one’s heart. When we do so we show up, we are counted, we are "walking the talk". And when we lead this way it brings forth the courage in others to be real, to be themselves. And to deliver what is god-given to them, their purpose. Selflessness means to serve a higher purpose. I think about Scrooge. Yes, he had a lot of money but he was poor until he changed his thinking and discovered his heart. When he modestly gave to others, when he saw them rise up, he had fulfillment. Is there anything more beautiful in the world than to give a hand up to another person? Encouragement is to encourage others to be the best they can be. It is to challenge, to call them forth and to never be indifferent—sometimes there is hard love involved. The last of the attributes is humility. If Socrates could say "I know nothing except the fact of my ignorance", where does that put the rest of us? VB: Do we have a crisis of leadership at the political level? Peter McCoppin: Yes, I think we do. I have a sense of this from my work, being a citizen of the community, being informed about the world condition, and when I see behaviors of some governments. Eckhart Tolle says "what we fight we strengthen". And "what we resist persists". It seems there are really no positive behavioral models in politics whom people can look up to and be inspired to emulate. Assuming the behavior of the leader becomes the culture of the team or the group that they lead, if the leader of a country is in a state of chaos, the whole society will be in a state of anarchy. All around us, we see entropy, disillusionment, hopelessness, random violence, and even school shootings. Where has this all come from? I believe political leaders are not setting an example that forges and nurtures a values-based society. VB: What about in the business world? Is there a crisis of leadership? Peter McCoppin: I think there is a crisis of leadership, but at long last it is starting to turn around. I see it with so many of the people I am working with. There is increasingly an awareness that people need to be open and to encourage the best from their employees. What used to be called the "soft values" are now seen as "hard values"—at least hard to consistently put into effect. More and more I hear senior people in major corporations modestly speaking about how they choose to treat their employees with respect and to nurture their creativity and innovativeness. This while still exercising their authority. VB: The soft values, perhaps, are the real values compared to the hard values. Peter McCoppin: The hard values are indeed hard. And they harden those around them. VB: Do you think we often mistake charisma for true leadership? Peter McCoppin: When a person is living authentically—intentionally, wittingly, deliberately, and habitually—they are in a position to be a true leader. They are holding themselves accountable. They will be noticed as living their true being and may appear to be charismatic. I was recently asked what is "true" leadership? "True" is an adjective, but it also is a value. It means a person speaks the truth and behaves with integrity. I can’t speak with any degree of authority about charisma but I have read a lot about it. There are people who are psychopathic, to give an extreme example, who seem to be very energized, persuasive, have colorful personalities and therefore may be perceived as having charisma. But they differ from true leaders because their apparent charisma is not born from living their authentic self. VB: Do you think there is more aberrant behavior in present times or are we just more aware of it due to media reporting? Peter McCoppin: I am not sure I can adequately answer that question. It seems there is more aberrant behavior than in the past. I grew up in the lower middle class in Toronto and we felt safe. We played outside—we played outside after dark for goodness sake. We never even thought about the potential of being unsafe. And it is now different not only in large cities like Toronto, but in very small communities where there might only be 4,000 or 6,000 people. It appears to be pan-global so it is a crisis. A new video game about auto theft or something similar comes to mind. It is a game which is sold because of its violence and it is bought by people of all ages. And then I hear about random violence by young people in some cities. It tells me society is in a state of disorder. VB: Is there such a thing as "evil leadership"? Would it be leading from a position of fear? Peter McCoppin: I talk about true leadership. One might call it inspiring leadership that comes from a place of love. They would be the ones in history who fit Winston Churchill’s definition of a leader as a person who has followers. Conversely, a leader without followers is a lone walker. The people who "followed" Genghis Khan, Mussolini, Stalin, Hitler or who "follow" today's evil leaders do so because they are coerced. Their life is on the line. They are not following, they are acquiescing. Peter McCoppin: They are complying, exactly. That's the perfect word. We follow when we believe. Think about some religious leaders. We follow because we believe them; their values are those which inspire the best in us. So too with true leadership—it calls forth the best and invites participation. VB: Why do we seem to have unlimited money to engage in wars but not enough for research into significantly improving the physical conditions of people living in third world countries or in third world conditions in wealthy countries? Or to effectively address the problem of carbon dioxide emissions causing climate change? Peter McCoppin: It speaks to fear based behavior which relates to greed, scarcity and so forth. And the "them" and "us", not recognizing there is only "us". We hear about the butterfly effect which is intended to make the point that everything is connected in a system—when a butterfly flutters its wings in Moscow it results in a tornado in Dallas. But there is no question that everything is connected. When someone is suffering in the world, everyone is suffering in fact. No one is an island. VB: So why are there are still wars. World War 1 was supposed to be the war to end all wars. Yet we continue to have strife and conflict and we know the suffering it causes. Why haven’t we learned over the years? Peter McCoppin: I am not wise enough to know the answer to such an important question. If we don't understand something we come from a place of defense, therefore offense. My instinct says collectively, at least a significant number of us have succumbed to our fears. And with fear comes selfishness and exclusivity, all of which keep people from identifying with the common good. Most likely it all has to do with ego. I look at the Dali Lama who has been alienated from his home country since 1948. He bears witness to Chinese soldiers destroying his homeland and mutilating his people. Yet he speaks of "my Chinese brothers". He is given to compassion and forgiveness. It is very intentioned, it is with awareness that he chooses this path. Not that he turns a blind eye, but with awareness he chooses that behaviour. VB: Oh that other world leaders would take that same view. Peter McCoppin: And if we were to come from a place of abundance. Eckhart Tolle says often we fight the symptom rather than strengthening the source. If we want to bring the world together in a spirit of cooperation, rather than fighting over borders and rights why don’t we strengthen our shared values? Come from that centered place. From the core out. VB: So does it suggest people don’t have common values. Peter McCoppin: There are values that are shared everywhere. I believe that among the general populace family, love, loyalty and respect are shared values. But it is how these common values are disfigured by political intention that gets us into problems. The concept of leading by giving power away to those being led is a vivid image. It seems much more graphic and purposeful than the traditional term "delegation". So of what relevance is this to IdeaConnection readers? The essence of true leadership applies to all endeavors when groups are collaborating to solve problems, innovate or explore new ideas. And I hope that facilitators for IdeaConnection will take note of insights from the conductor. Peter McCoppin has a Bachelor of Music in organ performance from the University of Toronto and studied conducting under some of the world's greatest conductors. From 1975 to 1978 he was Head of the Orchestral Program and Professor of Conducting at the Cleveland Institute of Music. 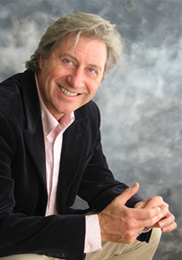 Peter was Music Director of the Charlotte Symphony in North Carolina from 1993 to 2000, Music Director of the Victoria Symphony in British Columbia (Canada) from 1989 to 1999, and has been Principal Guest Conductor of symphonies world-wide (e.g., USA, Canada, Japan, China, Korea, Mexico, and Australia. He is frequently called on as a motivational guest speaker and provides leadership training programs.